View cart “No. 88, 100 Portraits in 100 Days” has been added to your cart. 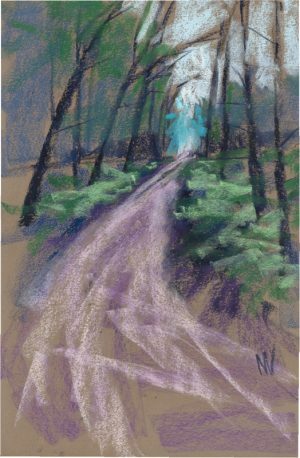 This is a small pastel painting, 6×9″ of a road and trees in the Manistee National Forest. 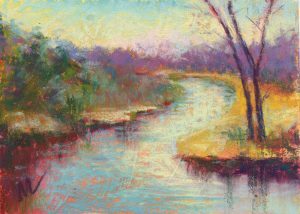 Good Morning, 9×6″ pastel on paper by Marie Marfia. Available $110. I love walking in the woods in the morning. 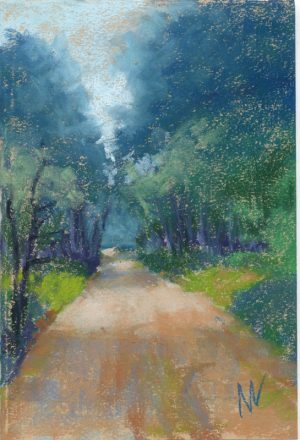 Up ahead on this road I can just see the tops of trees turned yellow by morning sun. Glorious day to be in the Manistee National Forest! This painting ships unframed, with a double mat, either white or black, between two pieces of foam core. 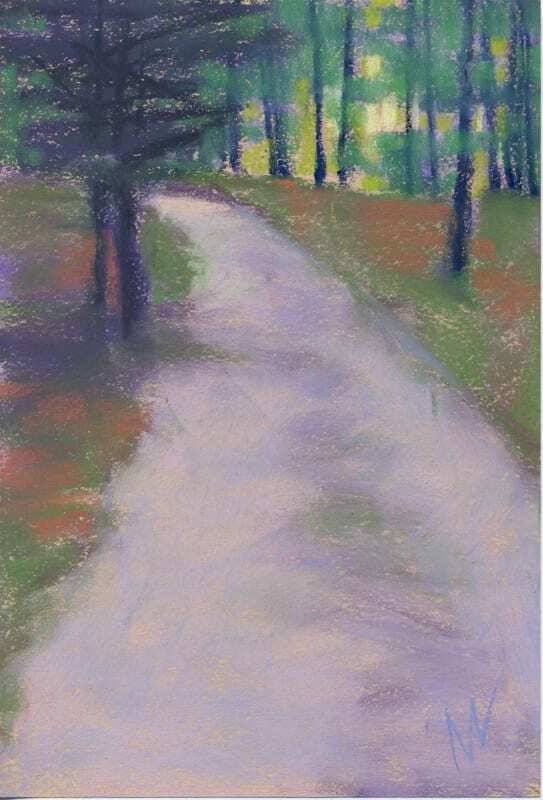 It’s the perfect size for a small space, perhaps in a cabin out in the woods or a cottage by a lake or an apartment for splash of color and a taste of the outdoors.